NOTE: Refer to modified rank requirements published by Technical Advisory Committee and effective 01/01/2018 for guidance about which hyung students may perform in tournaments for their rank level. What can I/we do in a demonstration? 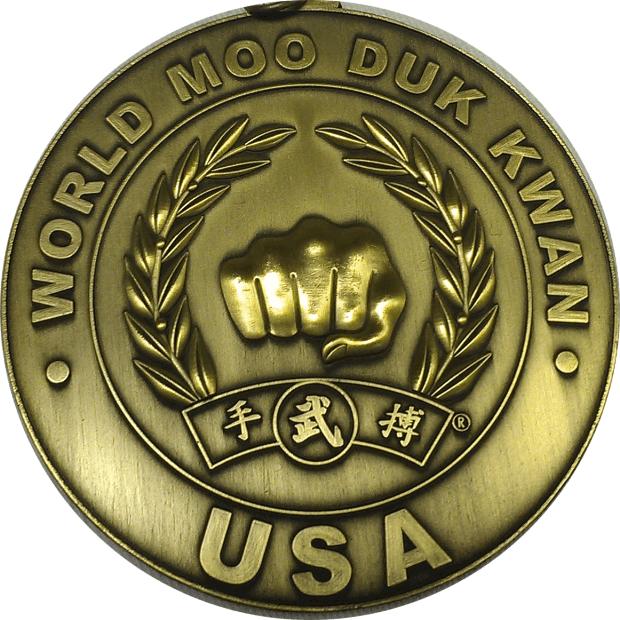 Demonstrations may include breaking, sequenced sparring, creative applications, weapons defense, self defense skits or any presentation performers think will be an impressive Moo Do representation of our art. A demonstration should NOT be only hyung or synchronized hyung applications. Those performances should be in the Team Hyung Divisions. How long can a demonstration be? A demonstration can only last 3 minutes from the time you step out on the floor. Make sure you have trained and organized any assistants who may be helping with setup, etc. to do so quickly. Must uniforms be worn by all performers during a demonstration? Generally demonstrators would all wear uniforms; however, depending on the nature of a demonstration or the role of a performer in the demonstration, a uniform may or may not be applicable. For example, a real-life self defense skit may feature one or more performers in street clothes as the aggressors and Soo Bahk Do practitioners in street clothes if the skit is presenting a school life or workday set of circumstances rather than a dojang training scenario. Some historical anniversary demonstration in Korea have even featured participants wearing historical attire applicable to the time period and country the demonstration represented. 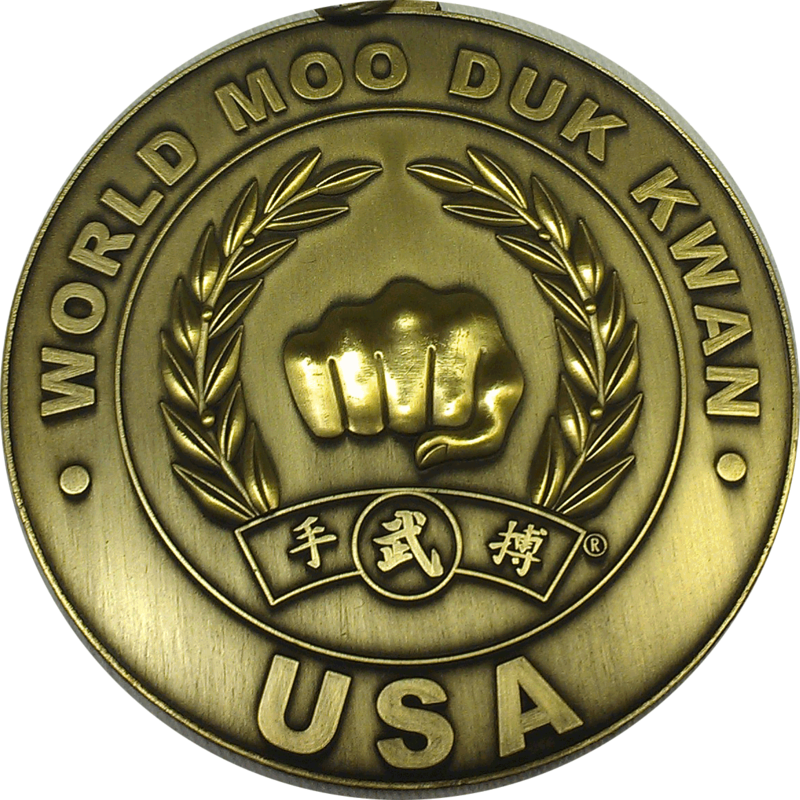 Preserving a Moo Do presentation is key to earning the best scores from judges. Is humor appropriate in a demonstration? All performances should exhibit a Moo Do flavor with careful contemplation about how humor is used to engage the audience. Depending on the nature of a demonstration and the circumstances it portrays, humor may or may not fit in. It is up to the performers to assess how well it "fits" into the performance and how it may influence scoring of the overall demonstration. Watch the video below for what triggered audience laughter. Is music allowed in a demonstration? Historically, the TAC has not allowed music created by a third party who is not in the demonstration. Music can distract from other aspects of a demonstration and good music played during a poor technical demonstration may create a more favorable perception than the demonstration alone warranted. However, custom narration or minimalistic sound effects have been employed in some historical demonstrations. If a demo team member composes a soundtrack for the demonstration, then because a member of the demo created the accompanying sound effects it "may" be allowable provided it enhances attention to the demonstration rather than tending to distract from or hide demonstration deficiencies. If a demo team is thinking about having a custom soundtrack accompany your demonstration please consider how it supports or distracts from the Moo Do nature of the performance. How many performers can be in a demonstration? A Demonstration may feature multiple performers of mixed ages and ranks. 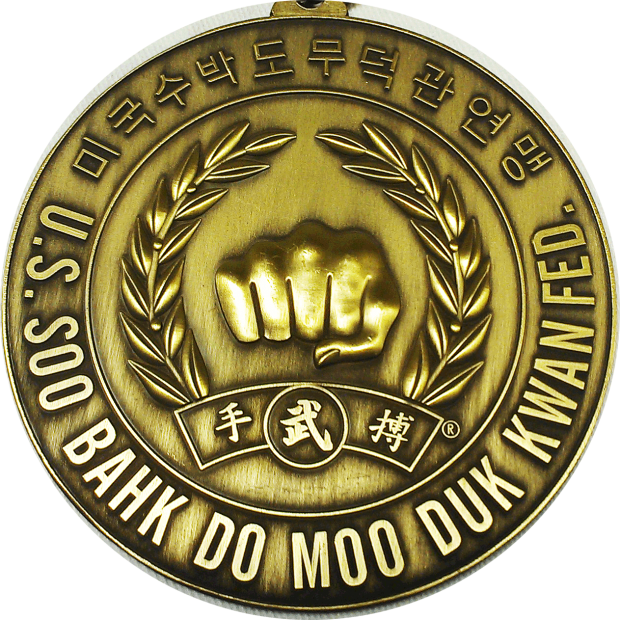 The highest rank member in a group determines the division it will be in. a pair with a Gup and a Dan will compete in the Dan division. How will demonstrations be scored? Demonstrations will be awarded two scores based on artistic/creative application and technical performance, similar to the Team Hyung scoring process. Performers should also consider the organization and discipline demonstrated when setting up for the demo (which indicates forethought and advanced planning) as well as discipline during and after the demo. NOTE: This section will be updated to be congruent with the modified rank requirements published by Technical Advisory Committee and effective 01/01/2018. Until then, please contact the TAC for additional guidance about which hyung students may perform in tournaments for their rank level. Regional Sparring Teams are comprised of 4 males and 1 female. Regions may field multiple teams per division.